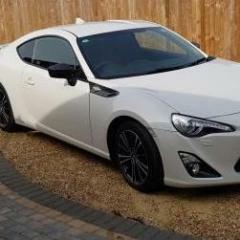 For sale is my 2016 GT86. Full service History, and 11 Months MOT with no advisories. Car is in brilliant condition throughout and has 25913 miles on the clock although will increase. Car is running the Cobra Manifold with Cobra resonated exhaust and the ECUTEK Map package all performed by Fensport with invoices. Taillights are the smoked valenti sequentials and I have installed the Xtrons headunit with Focal door speakers and tweeters. The tyres are PS4's all round and alloys have no marks. Stock manifold, tail lights and headunit will all be supplied with the car.